Balboa Park in San Diego, California, is a magical place. It is home to the Shakespearean Old Globe Theater complex as well as concert venues, miles of fantastic trails, and fine dining. However, our focus here is one of the park’s great museums. 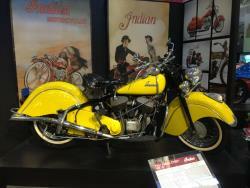 As its name would indicate, the San Diego Automotive Museum houses some amazing cars and trucks. However, motorcycle enthusiasts will be glad to hear that there is an equally fascinating motorcycle section in the facility. 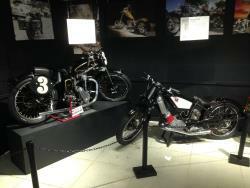 The museum serves as a home for dozens of vintage and historically significant motorcycles, and it displays the moto-gems in a creative and visitor-friendly way. Simply put, the museum’s curators have a great eye for the aesthetic. 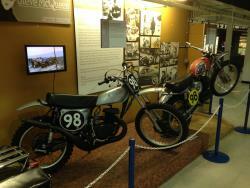 One of the first thematic displays that one passes in the motorcycle segment of the museum is the staged Triumph from the iconic TV show Happy Days. 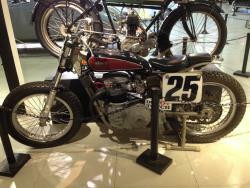 The star of the display is the 1949 Triumph Trophy TR5 Scrambler. It is one of three of the British classics used in the filming of the show. 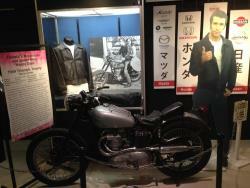 Fonzie himself is in the display – albeit in cardboard form, as is the character’s signature black leather jacket. Steve McQueen was known as the ‘King of Cool’ in large part because of the actor’s love of racing and speed. He was a star of the quintessential motorcycle movie 'On Any Sunday' which is played on a video loop in the display dedicated to his motorcycles. 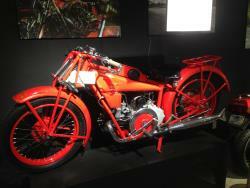 McQueen’s motorcycle collection was legendary and two fantastic examples are on display in the museum. A vintage McQueen-owned Honda Elsinore motocross bike is shown in all of its industry-changing glory. Even more amazing is the 1970 Husqvarna 400 that was owned by McQueen. 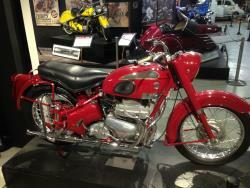 There is even evidence that the bike is the one the actor is seen riding in a racing clip in the 1971 film. 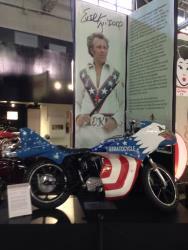 No motorcycle exhibit would be complete without some mention of Evel Knievel. The San Diego museum gives the legendary stunt jumper much more than just a mention. 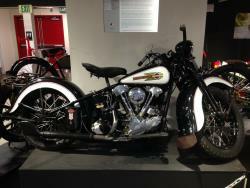 The 1976 Harley-Davidson XLCH Sportster that was custom built into the Stratocycle, an over-the-top bike used in the 1977 movie ‘Viva Knievel,’ is featured prominently in the museum. 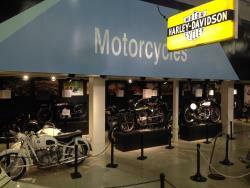 The backbone of the San Diego Automotive Museum’s motorcycle collection rests in the dozens of rare, vintage motorcycles that grace its floor. Some of the examples wear the patina of time, while others are meticulously restored. Marquees from America, Europe, and Asia grace the historically-significant display. 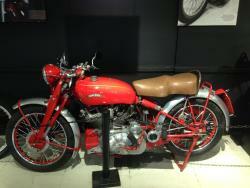 While photos do not do the scintillating bikes justice, scroll down to peruse a small sampling of what you can see at the museum. Of course, anywhere great motorcycles are found, K&N is likely there as well, so look for the vintage racer that breathes through K&N filters.